Doctors have many jobs, all of which are in service to the health of the patient. Whatever one’s sickness may be, there is a good chance your physician has a remedy. However, many disorders are not visible to the naked eye, or they are hidden from the untrained observer. Mental health conditions are on the list of problems people experience that do the most damage under the surface. It’s critical that your primary care physician can identify issues that you might be unaware exists in the first place. At Hope by the Sea, we know that some mental health disorders do not involve the use of drugs and alcohol. Even though conditions like eating disorders manifest in ways dissimilar to use disorders they carry the same deadly risks. Another mental illness that can be costly, both literally and figuratively, to patients is the problem of compulsive gambling. Given that doctors do not have access to patient financial records, it’s imperative that they ask questions to screen for the disorder. Problem gambling affects millions of Americans. The condition usually requires treatment if recovery is to be achieved. The good news is that the same techniques that help people with substance use disorder can also help compulsive gamblers. 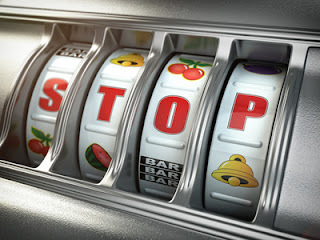 Most people who visit casinos or toy around with online casinos do not develop a problem with the behavior. They take part in card games or use slot machines knowing full well that the likelihood of winning is slim. The money such people wager is chalked up as a loss, but it can still be a good time either way. On the other hand, some people go to casinos or buy scratch tickets daily believing that their day will eventually come. They are strung along by the fact that they occasionally win a little something, disregarding the vast sums they waste in service to their dreams of fortune. It is not uncommon for individuals to run up severe amounts of debt gambling, some will even mortgage their house. The extreme gamblers often go to great lengths to hide their behavior from family and friends. When loved ones finally discover that a problem exists, the financial toll is monumental. With that in mind, the sooner problem gambling is identified, the better for everyone concerned, and a doctor might be able to help hasten discovery. March is Problem Gambling Awareness Month (PGAM) and this year’s theme is “Have the Conversation.” The National Council on Problem Gambling (NCPG) would like to encourage healthcare providers to screen clients for the disorder. With the help of Cambridge Health Alliance Division on Addiction, NCPG has developed and supplied the Gambling Disorder Screening Toolkit. Now in its 14th year, PGAM is meant to raise public awareness about problem gambling and the availability of prevention, treatment, and recovery services. If you or a loved one is struggling with compulsive gambling disorder, please contact Hope by the Sea. We offer several unique programs that can assist you in learning how to live a productive life in recovery.